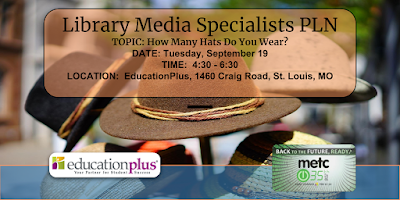 You are invited to join me for the first monthly EducationPlus Library Media Specialist PLN here in the St. Louis area. Check out the newsletter for more information. Please take a minute or two to fill out this year's survey. Hope to see you on September 19th.